The 10 California National Parks are diverse and dramatic — offering everything from a marine sanctuary (Channel Islands National Park) to the tallest trees in the world (Redwoods National and State Parks) and the world’s largest tree (Sequoia National Park). Each of the national parks will eventually be detailed in an area-specific California Tourist Guide article, which you can access by clicking on an area button above or by following the links below. If you are traveling with children, consider taking advantage of the National Park Services Junior Ranger program. Once a child completes the requisite activities, most NPS Rangers do a fantastic job of “swearing in” the new junior rangers, administering the oath with proper gravity, raised right hands, the whole bit. In addition to the parks listed above, California also enjoys an abundance of national monuments, historic sites, recreation areas, forests and one National Seashore, Point Reyes, just north of San Francisco. All of these California treasures are maintained by the National Parks Service (nps.gov/state/ca/index.htm), and they include the stunning hexagonal columns and geological wonder of Devils Postpile, the somber Alcatraz Island penitentiary, a look at our nation’s history at Richmond’s Rosie the Riveter National Historical Park and famous naturalist John Muir’s Martinez, California, home. Muir opined, “Everybody needs beauty as well as bread, places to play in and pray in, where Nature may heal and cheer and give strength to body and soul alike,” and the California National Parks provide that beauty and respite to the Golden State’s residents and visitors. 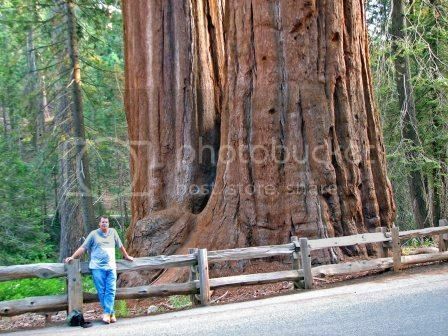 Photo of Sequoia National Park in California by James St. John via flickr (Creative Commons).